In an effort to add to their international credibility and gain leverage over competitors, more Canadian medical marijuana firms are aiming to achieve one of the highest levels of quality certification in the world. Only a handful of licensed cultivators in Canada qualify for the EU-Good Manufacturing Practices (EU-GMP) certification, giving them an advantage when it comes to exporting high-margin medical cannabis products to European destinations, as well as enhanced traceability throughout the product supply chain. 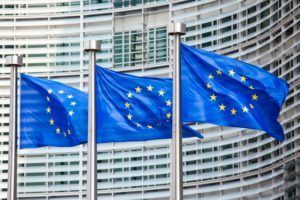 Only medical cannabis from EU-GMP certified facilities, or the equivalent, can be sold in the European Union. Alberta-based Aurora Cannabis, which does have some EU-GMP-certified facilities, intends to seek and achieve such certification for all its sites, Cam Battley, executive vice president, told Marijuana Business Daily. “It’s our intention to roll it out across all of our production,” Battley said. “We believe in that level of rigor in regulation and have embraced it from the beginning. It adds to our reputation and credibility on a global basis. While various GMP certifications exist – such as the Current Good Manufacturing Process (CGMP) in the United States and the lesser-used ICH-GMP globally – most Canadian companies are pursuing EU-GMP, according to Karina Lahnakoski, vice president of quality and regulatory at Toronto consultancy Cannabis Compliance. “Most countries coming on board (with medical cannabis laws) are accepting the EU-GMP standard because it’s already been established for medicinal products,” she said. EU-GMP is the same standard to which European pharmaceutical companies are held. It can apply to one step of the supply chain or the whole process. Cronos via Peace Naturals Project in Stayner, Ontario. Maricann through its facility in Langton, Ontario. Aurora Cannabis via MedReleaf in Markham, Ontario, and Aurora Cannabis Enterprises in Cremona, Alberta. Tilray through its Nanaimo facility, which has two GMP certificates. Canopy Growth via Tweed in Smiths Falls, Ontario, and Tweed Farms in Niagara-on-the-Lake, Ontario. Aurora Deutschland GmbH in Berlin. More are in the pipeline. Each EU-GMP certification contains specific authorizations. For example, Directive 2001/83/EC allows for cannabis production as an active pharmaceutical ingredient (API). Directive 2003/94/EC lays down the principles and guidelines of GMP with respect to medicinal products for human use and investigational medicinal products for human use. Canadian licensed cannabis companies are required to comply with the Canada-specific Good Production Practices (GPP) standard, which is considered a lower level of quality assurance than EU-GMP. How long the entire EU-GMP process takes – and how much it costs – depends on the gaps that need to be filled to bring a company up from GPP to EU-GMP. “It is important for manufacturers to understand the costs and benefits of choosing to become GMP compliant, regardless of their current state or country laws,” according to a report by United Kingdom-based analytics firm Prohibition Partners. To read more about Good Manufacturing Practices, look for the March issue of Marijuana Business Magazine. TGOD is in Denmark & Greece.